See into the past and discover how English evolved from more than 350 languages. 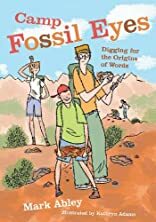 In this fanciful book about etymology, 15-year-old Jill Boswell and her 13-year-old brother, Alex, are sent to summer camp in a bizarre badlands region -- the only place in the world where words are fossilized in rock. Armed with water bottles, spades and backpacks, the campers hike from ridge to ridge in search of their ancient quarry. The budding word hounds soon realize they are on an amazing journey of discovery. Traveling through the mountains of fossilized words -- from ancient Greece (television, demon, gorilla, catastrophe) to Spain (mosquito, ten-gallon, burrito) and from the language of the Goths (heathen, home, haunt) to Dutch (booze, dock, pickle, cookie) -- they find that even current words like podcast and gossip originated hundreds of years ago! 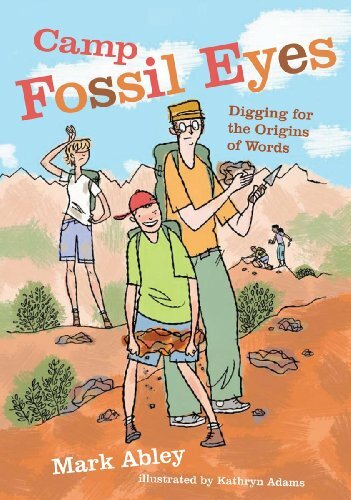 Illustrations by Kathryn Adams capture the fun of the word expedition and celebrate the joy of language sleuthing. About Mark Abley (Author) : Mark Abley is a published author of children's books. Published credits of Mark Abley include Ghost Cat and Le grand verglas. About Kathryn Adams (Illustrator) : Kathryn Adams is a published author of children's books. A published credit of Kathryn Adams is The Langenscheidt Greek Picture Dictionary.